It’s no secret that I love Banoffee Pie! 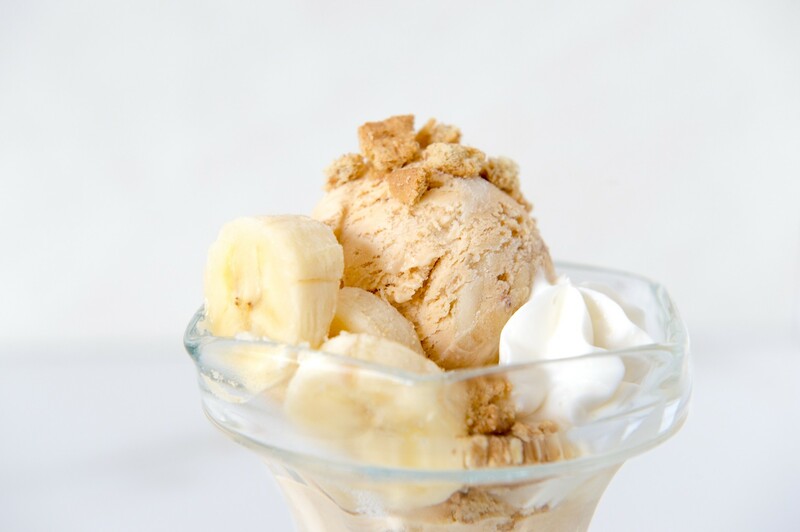 The simple combination of bananas, caramel, whipped cream and crunchy biscuits is a classic that I never get bored of. A recent Instagram poll confirmed that just like me, many of you also love this combo, especially on waffles! This got me thinking what a great ice cream flavour it would make. 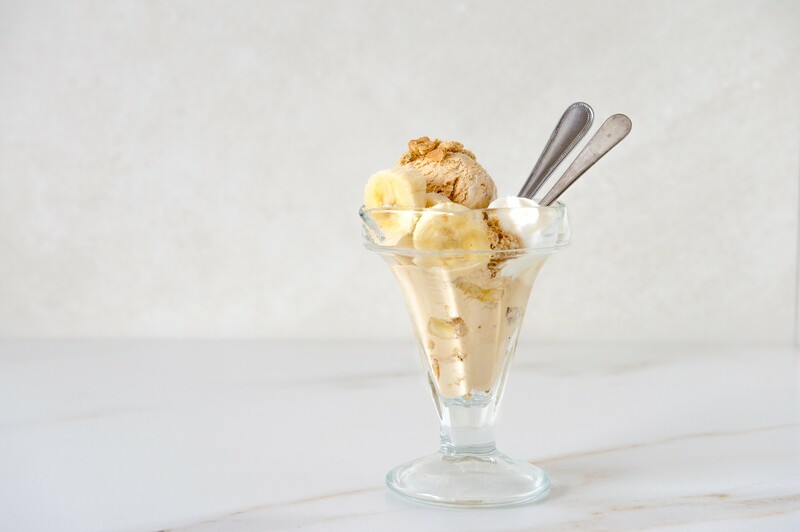 Using the same ingredients as Banoffee Pie (except for melted butter), I was able to make this easy no-churn Banoffee Ice Cream. I like to freeze my ice cream container before-hand, and also have my cream and caramel very cold before I start mixing. 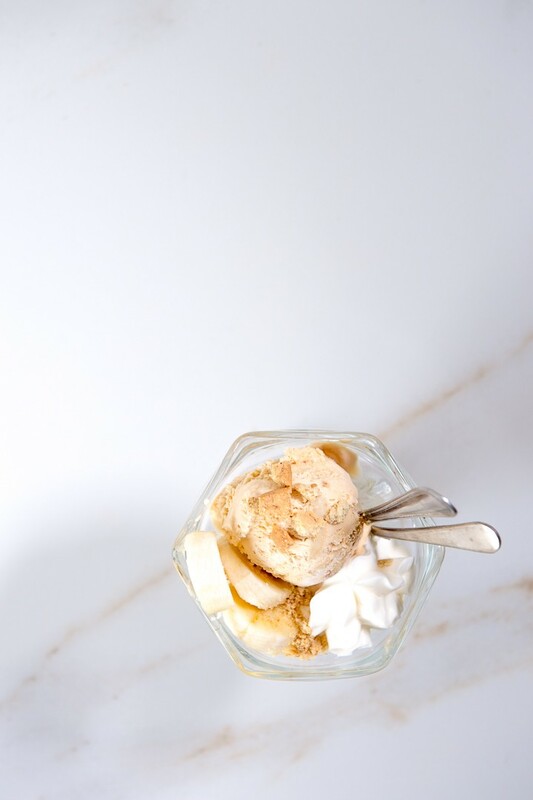 This helps the ice cream to freeze quicker resulting in a smooth, creamy final product with no ice crystals! 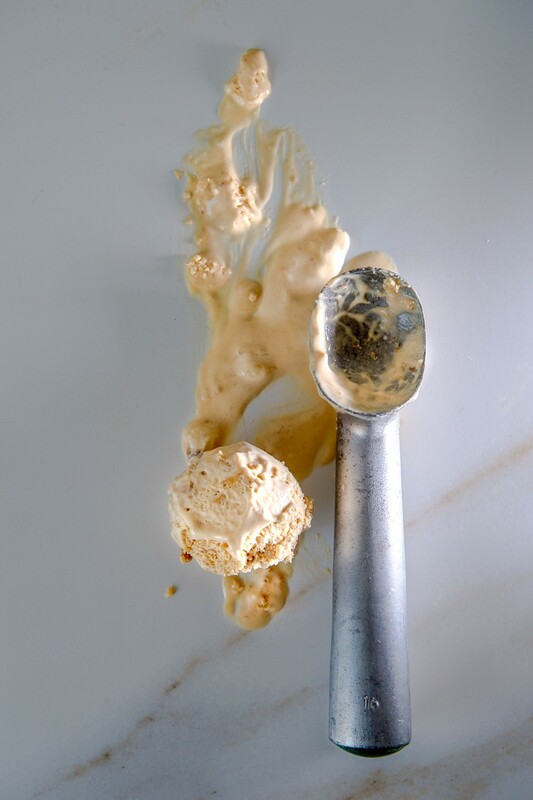 Place the Caramel Treat into a large bowl and beat with an electric mixer until smooth. Add half the cream and whip until soft peaks start forming. Add the remaining cream and continue whipping until the mixture is thick and you have stiff peaks. Slice the bananas and roughly crumble the biscuits. Spoon about half of the caramel mixture into a large airtight container. Swirl through half the bananas and biscuits. Repeat with the remaining bananas and biscuits. Freeze for at least 4 hours. 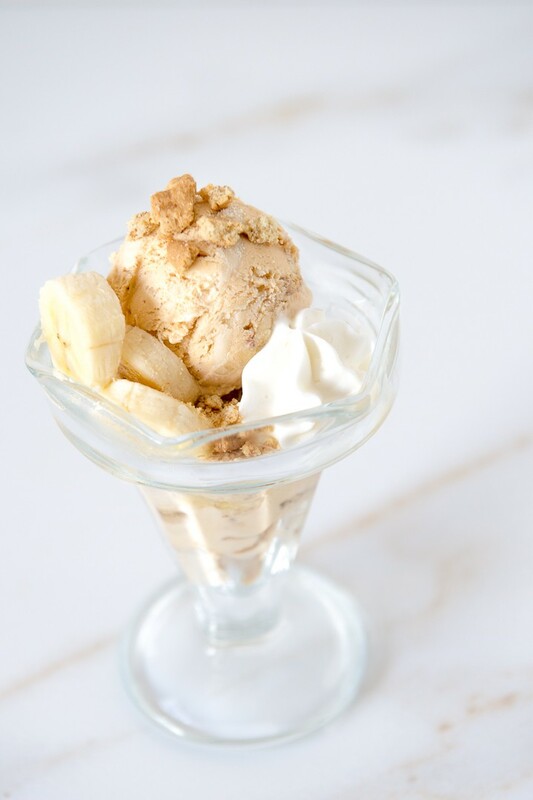 To serve, scoop into bowls or sundae glasses and decorate with whipped cream, bananas and crumbled biscuits.